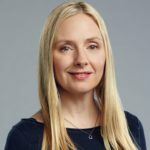 Hope Davis is an American actress. She has starred in films such as About Schmidt (2002) and American Splendor (2003). For her role in the original Broadway production of God of Carnage in 2009, she received a Tony Award nomination for Best Actress in a Play. She has also received two Emmy Award nominations, for her 2009 television roles in the series In Treatment and in the film The Special Relationship. In 2016, she appeared in the Marvel Cinematic Universe film Captain America: Civil War as Tony Stark/Iron Man’s mother Maria Stark. "When my dad needed a shirt ironed, he would yell downstairs to my mother, who would drop everything and iron his shirt." "But I think Hillary Clinton is one of the most amazing women of this time." "The network shows tend to be run, in general, in my experience, by committee, and it’s hard for actors and writers to do their jobs." "I travel all the time, and I have two small children." "I was never the ingenue, so hopefully that’ll make it easier to age and still work. I know a lot of actors who are really dissatisfied with where they’re at even though some of them are huge stars and I feel like, ‘Oh, my God, you’re at the top.’ Something interesting will come. It always does. I have faith." "Every summer my husband and I pack our suitcases, load our kids into the car, and drive from tense, crowded New York City to my family’s cottage in Maine. It’s on an island, with stretches of sea and sandy beaches, rocky coasts, and pine trees. We barbecue, swim, lie around, and try to do nothing."